I enjoyed this story. It was a little more up-to-date and edgy Nancy Drew with its mystery and intrigue. I will be recommending to my teenage daughter. She is a huge fan of Pretty Little Liars, which this story also had that sort of feel to it, leading me to believe she will find this book quite appealing. The characters are well developed. The storyline has a good pace. It was a quick read and a real page turner. It did take me a little longer than usual to get into the story but that may have more to do with how busy my life has been than with a fault in the writing. Regardless of the time it took to get completely captured by the story, I was captured by it. I would recommend as a good read. Disclosure: All opinions are my own. 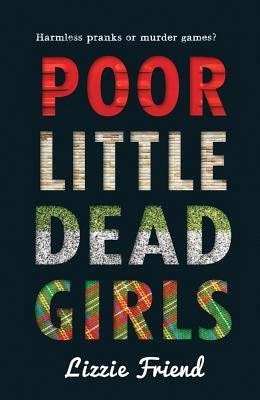 I received Poor Little Dead Girls at no cost for the purpose of this review. No other compensation was received.